This is a behind the scenes look at one of the initial ideas for this webcomic. I was teaching myself how to do this, and i got a hold of my good friend Panagis, who is a Graphic Designer. I asked him to teach me some techniques in transforming this hand drawn image into a digital image. We had a Webex conference, and he walked me through some tips and tricks to use photoshop to color and edit my comics. This is the initial sketch for this Webcomic. It had never been published before! 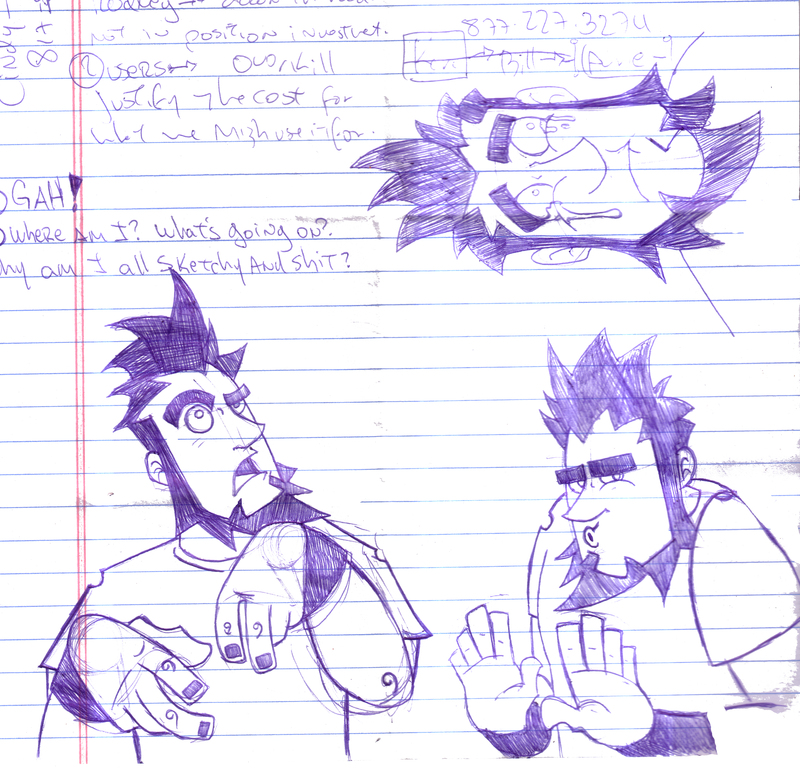 It was done on a notebook, with a ballpoint pen… circa 2008 or 2009.